You want to grow your business online. Therefore, you will have to create a website that will draw people to your business. You want an online image that will give a great first impression with those visiting your site. Just know, when it comes to web designs, it’s preferable that you have no recognition rather than a poor business image. However, to create a website that is convincing enough to draw in second-time visits is important. Meaning, you want good web content to help make that happen. The best way to achieve this is with eye catching content titles that are desirable to read. A surf through the internet will prove that there are a lot of nice-looking websites that add no actual value to those who visit. Such sites do not possess the staying power that it takes to thrive in this Internet Age. You’ll need to have substance as well as style to create a website that will grow online. Content is the backbone of web development. So, it is important that you tap into the target audience you seek. If you’re targeting golfers, it doesn’t make sense to include popular crock pot recipes. Furthermore, there are so many websites out there that display ads to products that do not concern their niche. You will also come across many websites that have interesting content that is not relative to the purpose of the site. If you create a website that doesn’t speak to targeted audience visitors, you give the message that you certainly don’t have what they’re looking for. After determining your target audience, you have to decide the niche and relevant content of your website. For instance, you may create a website for the sales of golf clubs. Then, you could have other golf-related content there. This might include content related tips, course locations, contest games, and so on. Granted, you should put up content that will get people to frequently come see what you have next. Your visitors may need information or products. When you create a website that satisfies their need for information, this can lead you to make money. You can do this by posting links to product resources that are relevant to your visitors. You can also create a website that is niche specific and is targeted to a particular aspect of golfers. That being just one of many ideas. It is a way to connect with existing money making sources. These shopping sources will give you a commission for each sale made through your site. It is a common method of making money if you don’t want to run your own online store. This method may not make you wealthy, but it may be what your visitors are looking for. And, for one thing, provide an extra reason for them to keep coming to your site. Except that you are quite comfortable with your bank account, you should aim to create a website that has enough money making sources to pay for growing your site. Remember, you will have monthly or yearly hosting as well as other site-related costs. Also, many website plugins have a yearly fee for premium service. You could create a website with designated open space for paid advertisements. For example, one option is Google Adsense. You need to always plan ahead. Your site is like a plan for beautiful art work. Plan each page carefully. You need an ideal homepage first, and then you can decide what the rest of your pages will be. When you create a website, let your homepage be an accurate explanation and summary of what the site is all about. You want a brief, clear mission statement. If you are offering products or services, ensure that your homepage passes this message immediately so the visitor sees it. Don’t make your visitors have to explore to discover what you have to offer. These pages may have other similar names. Nonetheless, when you have decided your homepage categories, assign your content appropriately. A key rule of thumb is to always ensure that your site is user-friendly. 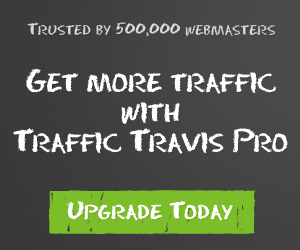 Moreover, you want your visitors to be able to navigate your site easily. If visitors have to explore your site to locate what they are searching for, they may not return. Don’t create a website that makes visitors have to search for content. It is also important they can easily link to your homepage on each page of the website. Don’t go overboard with a lot of ads when you create a website. Just a few can be more effective. In particular, most people find flashing images distracting and an irritation. Keep it clean – don’t overdo any web pages, and make your content simple to read and understand.